One of the most common groups of questions I am asked when I am out with Leif, my guide dog is "How do you get a guide dog? It therefore seemed to be a good subject to look into and explain in an edition of 'Blindside Fresno'. Applying for a guide dog is not a quick process. As I am isked in the program; "Can you wake up Monday and decide to apply and have a guide dog at your side on Friday?" Well the straight answer is "No." But what do you need to do before applying for a guide dog? What is happening as your application works through the system? How long might it take. 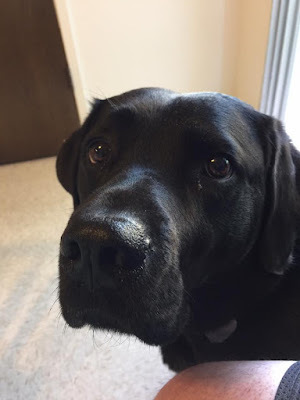 I describe my own experience of applying for a guide dog from Guide Dogs for the Blind in San Rafael, California. My own application from start to graduation took almost one year. That is not unusual. There are amny guide dogschools within the United States of which GDB is only one. 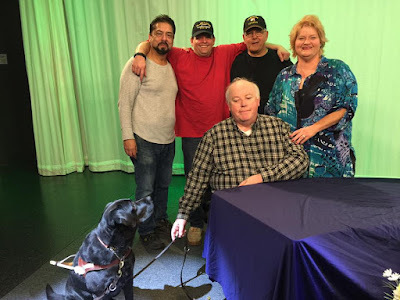 Take a look at program 7 of 'Blindside Fresno' Guide Dog Application process by following the link below.